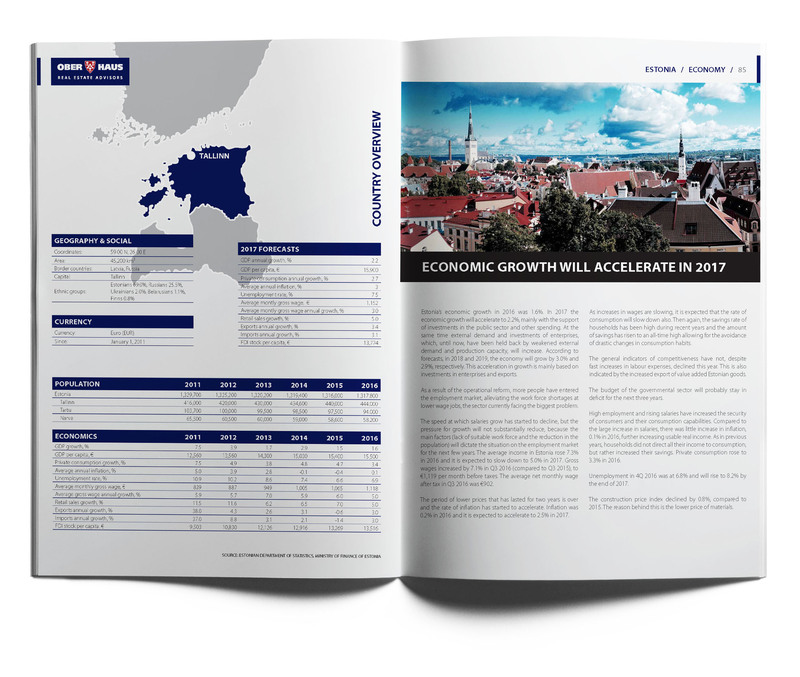 Ober-Haus Real Estate Advisors presents its annual real estate market report 2017 on the Baltic States Capitals – Vilnius, Riga and Tallinn. The overview focuses on the office, commercial, storage and residential premises markets, as well as on land plots of each of the capital cities. The overview also includes information related to taxes, which was drawn up by PricewaterhouseCoopers – the audit, accounting and consulting company, while the part with legal information was prepared by the Sorainen law firm.